These golden morsels are inspired by a place where giant fairy chimneys rise above yellow brick roads, leading travelers past a network of underground cities. It sounds like fantasy. 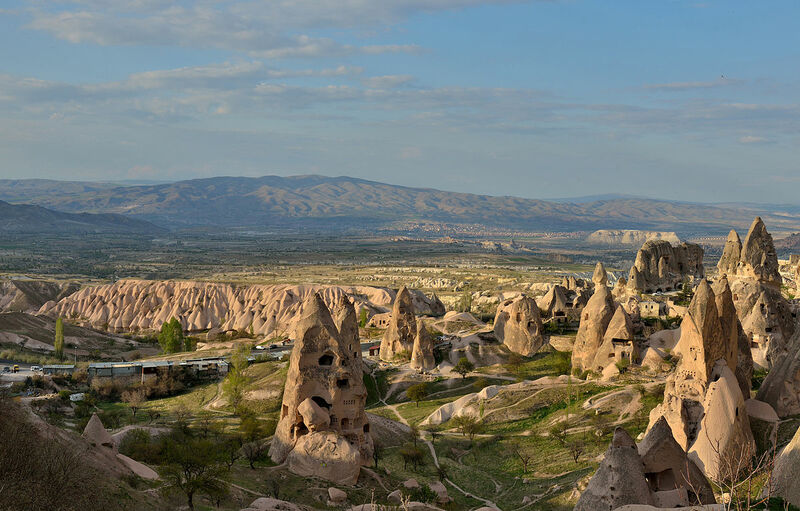 But this surreal scene lives – as real as you and me – in Cappadocia, Turkey. Uçhisar in Cappadocia, Turkey, by Wolfgang Moroder. The fairy chimneys of Turkey (Peri Bajası) are geological remnants created by volcanic debris. These colossal outcrops can be as tall as the Christ the Redeemer statue in Brazil and almost as tall as the Statue of Liberty on the eastern US coastline. But unlike those human made structures, fairy chimneys were sculpted over millions of years by rain and wind, in the end weathering the elements better than the dinosaurs. “Castle” Uçhisar in Cappadocia, Turkey, by Wolfgang Moroder. This not to say humans never set chisel to chimney; over the last millennia humans carved into the fairy chimneys to create secure homes and places to worship. These weren’t basic dugouts – many of the cave dwellings are connected with a network of tunnels and vent shafts, and decorated with mosaic floors and frescoes. 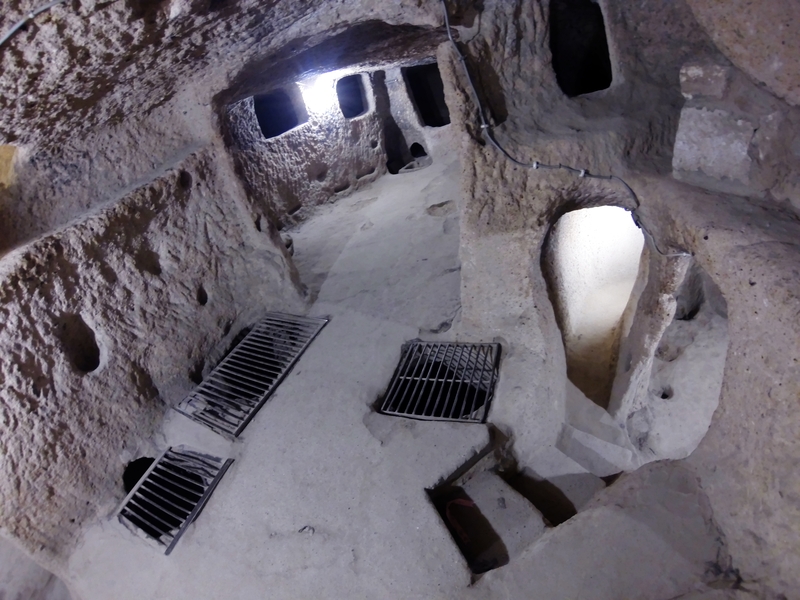 The underground city at Derinkuyu, for example, is large enough to hold 20,000 people spread over seven interconnected levels, while the underground city at Kaymakli has nearly 100 tunnels. 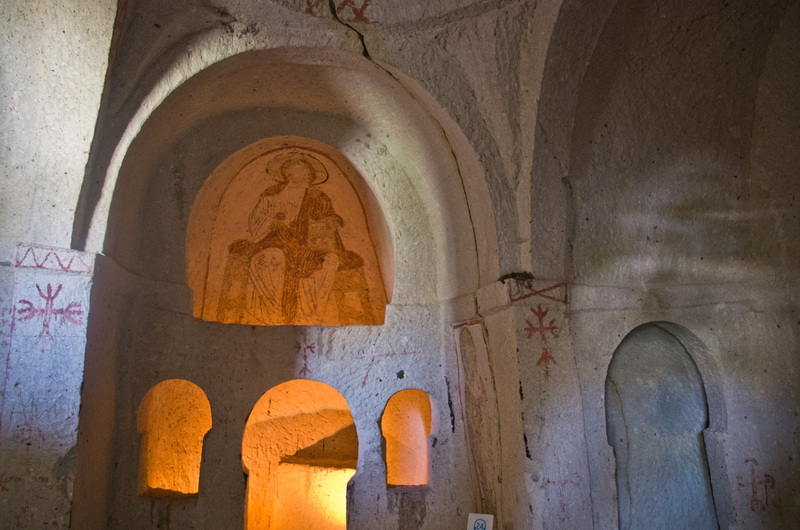 A church in Göreme, photo by Antoine Taveneaux. 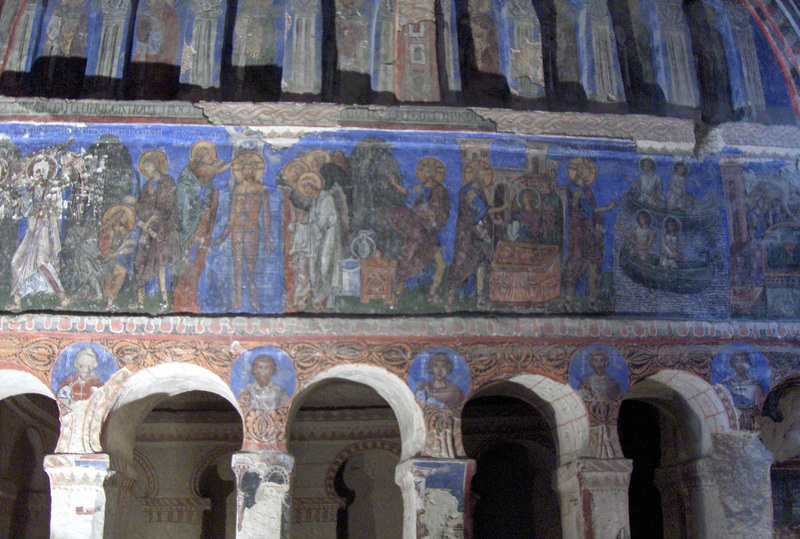 View of the Christological cycle in the New Church, by Georges Jansoone JoJan. Kaymakli underground city, photo by Nevit Dilmen. Communication moved fast in these dimly lit dwellings; all it took was one fire to turn a fairy chimney into a beacon. In turn, other chimneys lit their beacons and, in seconds, a visual alarm could spread to all citizens – and sometimes to other cities – warning of imminent danger or other news. 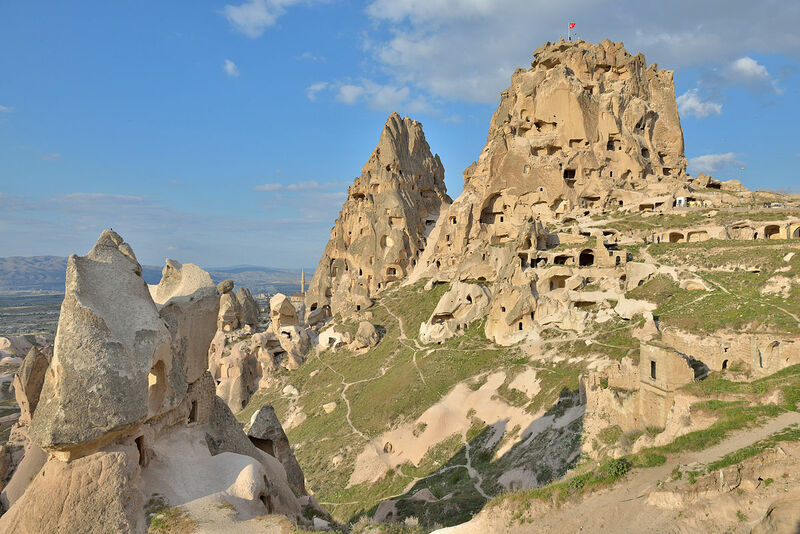 Today, tourists flock to Cappadocia to marvel at the interweaving of civilization and rock. They stay in cave hotels, pray in stone churches, and wander the underground cities. Some might even study up on St. George the dragon killer while visiting – he is said to be from Cappadocia. Beyond the typical tourist stops, the towns of Cappadocia offer traditional communities built on agriculture. The dusty, parched landscape gives way to fertile canyons, where villagers painstakingly tend their gardens and orchards – mostly a tapestry of apple, plum, pear and apricot trees. What, then, is the yellow brick road? 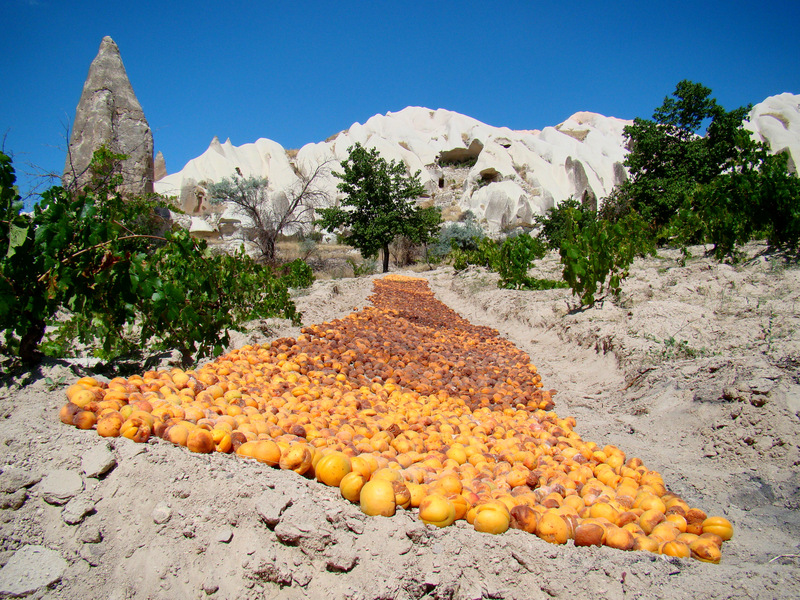 Apricots drying in the sun in Cappadocia. Photo by Bjørn Christian Tørrissen. If you work your way along the orchards of Cappadocia, you’ll find the yellow brick road: thousands of apricots, laying the sun to dry, blazing against the dirt like the hot strike of a match. Turkey grows more apricots than anywhere else in the world, and the Cappadocia region is an important part of that tradition. 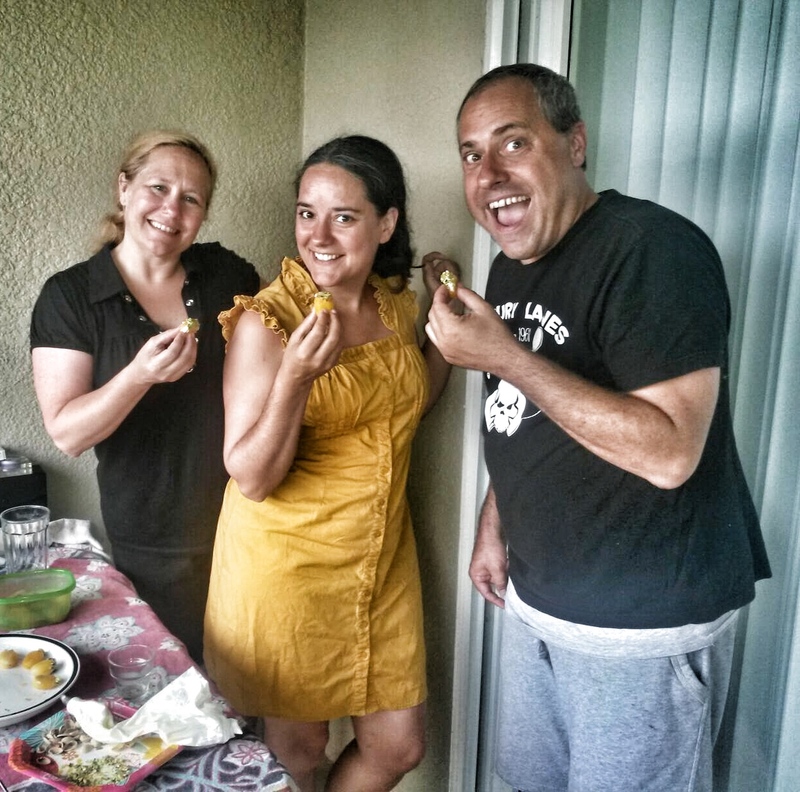 I thought it’d be fun to explore a recipe for stuffed apricots in honor of Cappadocia’s apricot groves. This traditional Turkish sweet (also known as Kaymakli Kayisi Tatlisi) uses just a handful of ingredients – apricot, lemon syrup, pistachios, and creamy cheese – making it a great appetizer for a dinner party or afternoon tea. You can make Turkish stuffed apricots on a paper plate with a beach towel tablecloth. I know because we did! This summer Keith, Ava and I took a three-week road trip; we spent much of our time in Florida, with my brother, sister and her daughter and dad. With lots planned (the beach! Harry Potter at Universal! the pool! the planetarium! 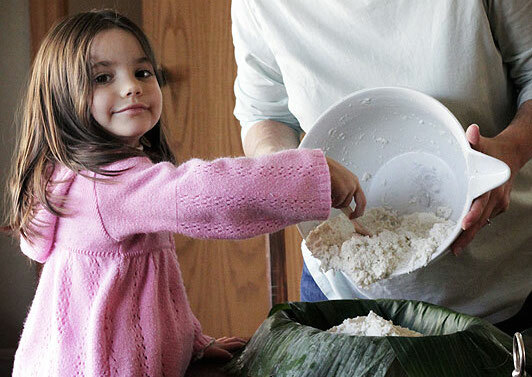 ), we needed a recipe that would be easy to prepare. 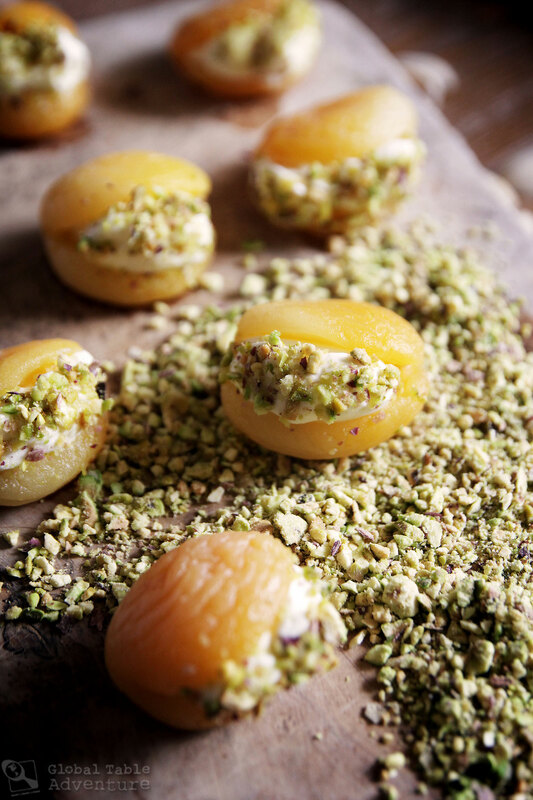 Turkish stuffed apricots turned out to be a summer-proof solution. There’s just a few steps: soak the apricots overnight, simmer them in syrup, and stuff with creamy, cool kaymak (or substitute marscapone). Garnish with crushed pistachios and you’re in business. The finished result combines the gentle sweetness of apricots with the lusciousness of cream. 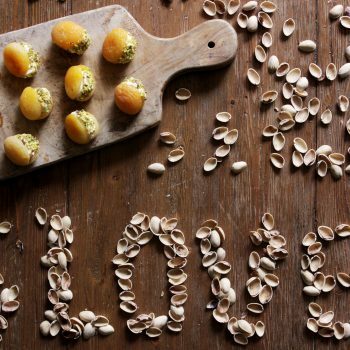 Pistachios add gentle crunch and a hint of salt. This is the sort of dessert folks who aren’t into sweets will love; it’s not a one-two punch of sticky sugar, but rather a wholesome, slow-burn energy treat. In sum? It’s the type of dessert a granola bar would have a crush on. 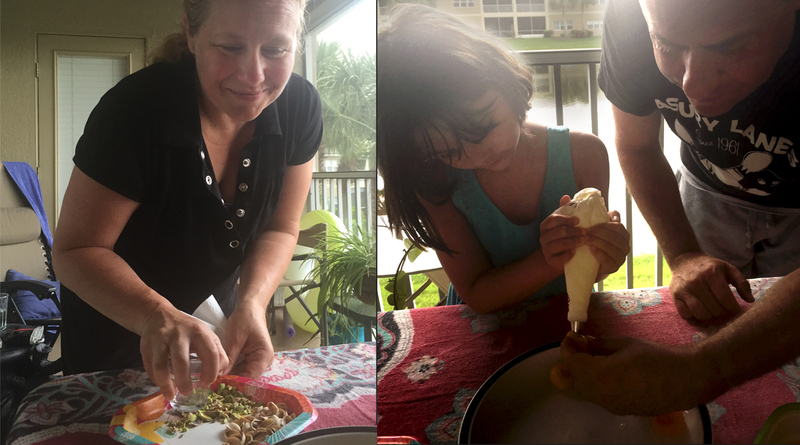 My sister and brother (the twins known as Grace and Tim in my memoir) helped make the Turkish stuffed apricots on his Fort Meyers patio, the chlorine of the neighborhood pool still on our skin. The beach towel was my sister’s; the glass used to crush the pistachios, my brother’s. 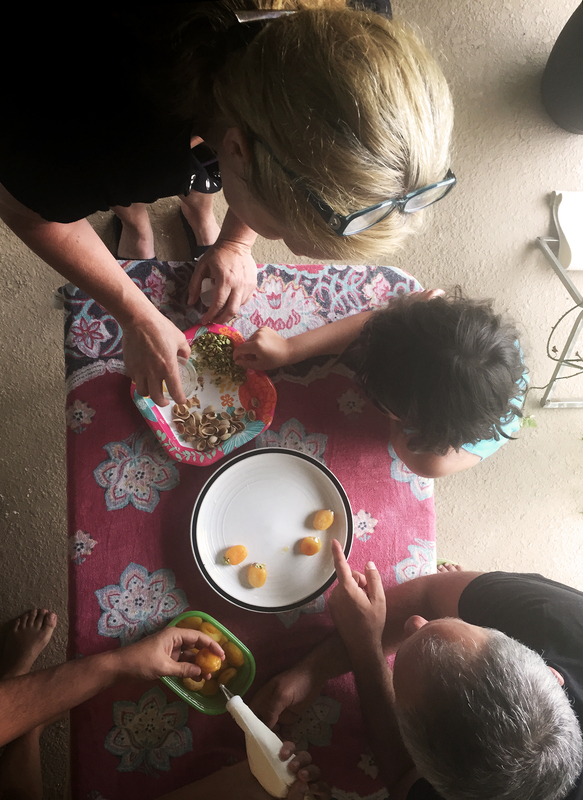 This was but one small recipe in a sea of homecooked meals, but as we stood there, on Tim’s patio, eating the apricots as fast as we could make them, I knew that even the simplest meals accomplish more than simple sustenance. Cut into the facade of the apartment building, that second story patio was our own little cave dwelling… our own little fairy chimney. We found ourselves drawn to that space at all hours of the day, one night staying up until 5 am over several bottles of wine, incense trailing around our conversation. The flicker of candlelight was our beacon, allowing siblings who rarely see each other to really see each other. A fairy chimney is about safety, community, about a little bit of magic. Have you ever been the little sister? I am the little sister when I’m with my family. It’s one of my favorite feelings. My siblings reminded me not to worry so much. They gave me parenting tips. They’re creative, fun influences on my daughter. The tease me just the right amount and love me as only family can. Their love is a cave dwelling. A safe place. As you make these stuffed apricots, think about your safe place. Imagine the cave dwelling you might be taking for granted in the here and now. Then imagine Cappadoccia. Perhaps you are St. George, or a local farmer, or a villager hiding in the underground city from invaders. However you play it, these apricots will light the way to adventure… but, also, to deeper appreciation of what already is. This Turkish appetizer is sweet and creamy - just right for a dinner party or afternoon tea. Start it the night before to soften up the apricots. There are three options for the stuffing, kaymak is the most traditional, while marscapone makes a great substitute. Some use strained Greek yogurt called labneh for this job (regular Greek yogurt will be too runny) - consider sweetening it with a little honey if you want to cut the tart flavor a bit. Soak apricots in a bowl of cold water for 8 hours (or overnight). Keep in the fridge. In the morning they will be plump. Drain off the soaking water into a small saucepan - there should be about a cup of liquid. If not, add a little water to make up the difference. Add sugar and simmer for ten minutes, stirring until the sugar dissolves and the mixture thickens slightly. Remove the pan from the heat and add reserved apricots. Let sit in the syrup until cool to the touch (or until needed). The syrup will make the apricots shiny. Peel apricots halfway open and stuff with kaymak, marscapone, or Greek yogurt. You may find a few of the apricots are a little too soft - enjoy those while you work! For stuffing, I like to use a piping bag, although a spoon work work as well. 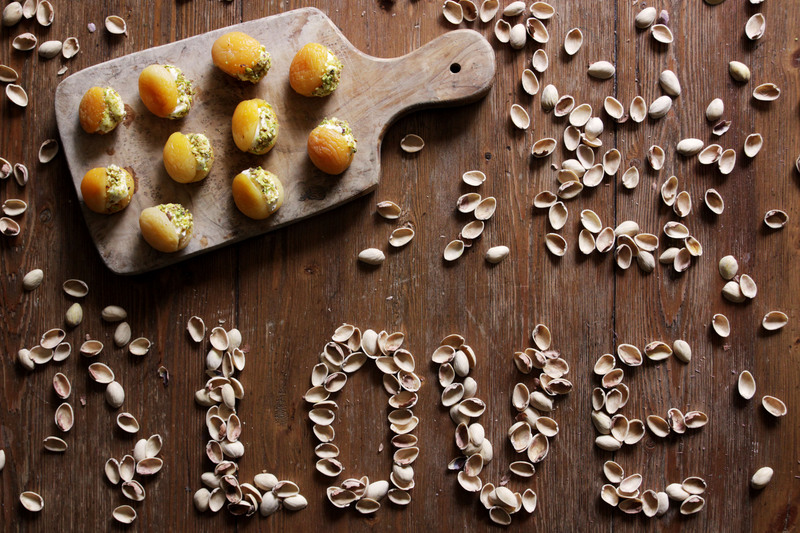 Garnish with crushed pistachios and enjoy! Beautiful pictures of the caves Sasha. The intricate carvings are just amazing. Wish I could eat this recipe. It looks lovely but with about 4 tsp. of sugar per person, it would be deadly for my diet. But guess it is a dessert and sometime you have to indulge. Maybe you can post the original recipe with lemon syrup as an addendum to this recipe? How is Lemon syrup made? It was a very special visit! And this Flounder loved celebrating Ava’s 7th birthday all together. And I used up the leftover marscapone tossed in spinach pasta! Yum! 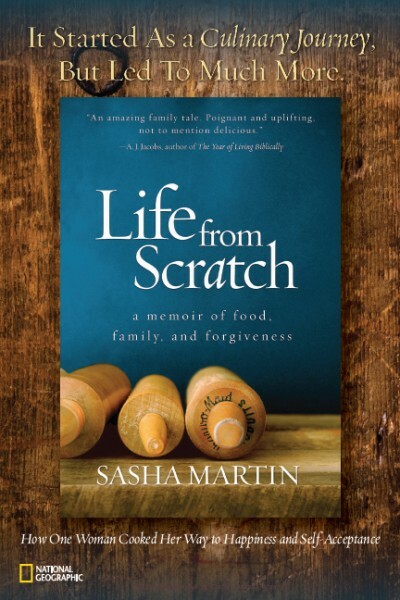 What a special story, Sasha! I visited Cappadocia about 30+ years ago, and continue to be amazed at all that’s there. I even had thoughts of being lost forever deep in the tunnels as I explored there. 🙂 Your family story makes me think that at times we can even get lost in the tunnels of our family relationships — and maybe discover new glorious spaces in the rooms we find there. 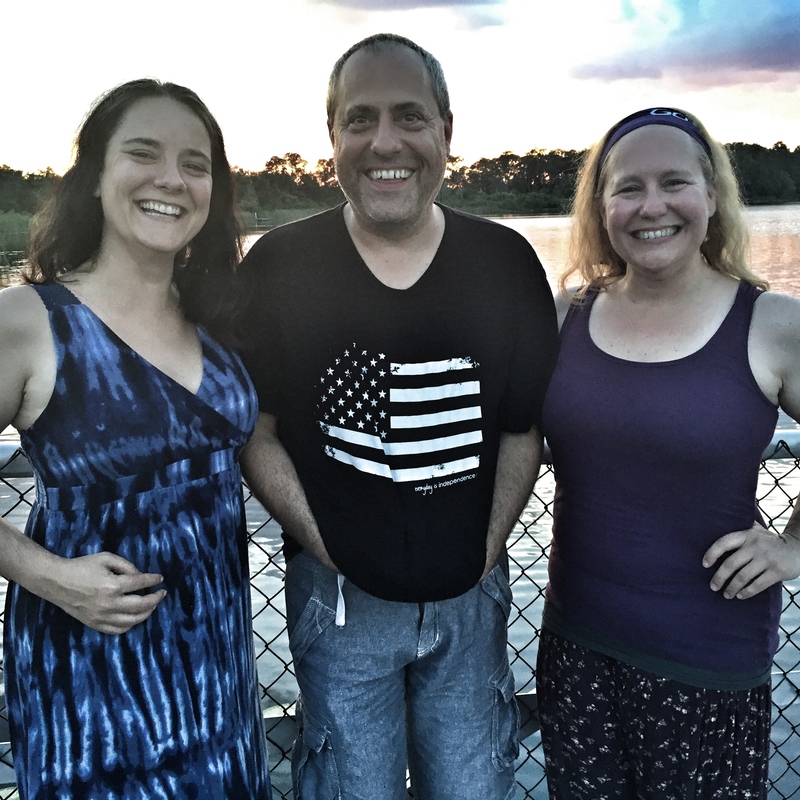 It’s a treat to see the pics of you with your sibs & hear about your time & space together. I’ll make these yummy apricots soon & think of you all! Oh my gosh, I love this – yes – you are 100% right, Angie. Hugs to you. Your recipes are so practical and delicious at the same time. Such an inspiring blog! I just finished reading your book and came to visit your blog right away. 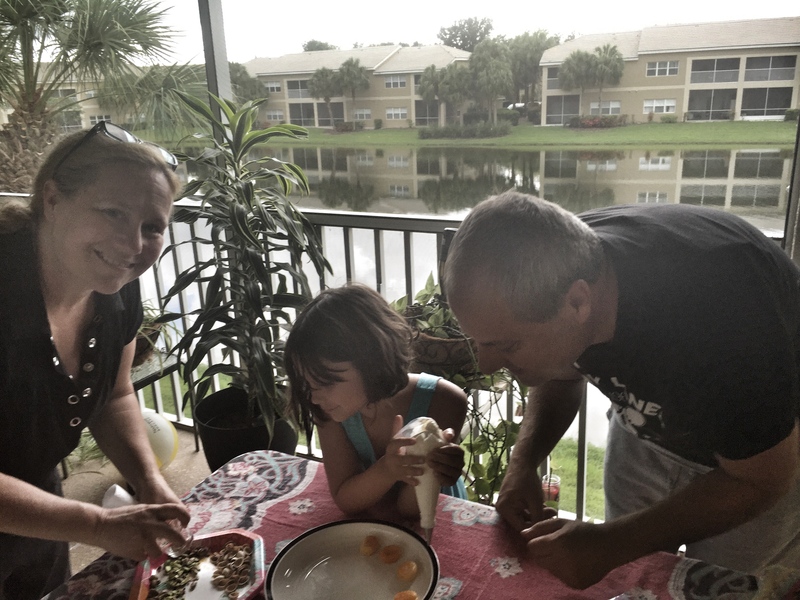 Your latest post is from my native country and it is a dessert I loved very much growing up. I can’t wait to make it. Thank you, Sasha. 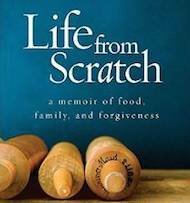 Your book was a gem and I look forward to making many of your recipes and traveling the world through them. Next PostWhat if you could live off Victory?